Ethiopian activists launched today a three days social media campaign to demand the release of youth from Addis Ababa who were detained following the Burayu Massacre in mid September this year. The campaing is using the hashtag #freeaddisababayouth on Twitter. The youth were rounded as they protest the massacre against ethnic Gamo Ethiopians in Burayu town in the western outskirts of Addis Ababa. As many as 1200 Addis Ababa youth are believed to be detained Tolay military camp. Activists who are vocal in the campaign say that the youth who were for political reason and without any due process of law. Campaigners are demanding that the Federal government to step-in and release the youth from Addis immediately. 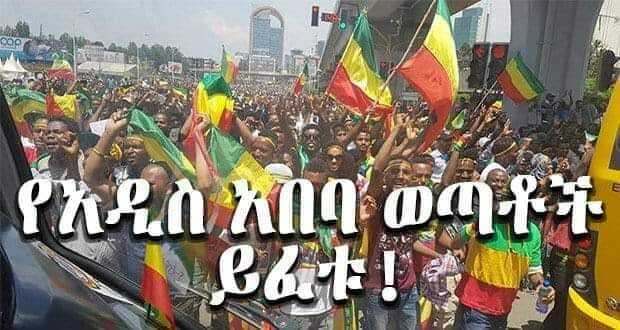 2 Responses to "Ethiopian activists launched social media campaign for detained Addis Ababa Youth"
Free the thousands of youth detained in Addis Ababa without any court order of justification!! No freedom – No Democracy !! !